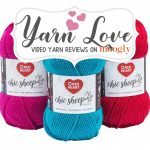 I’m having so much fun exploring all the new Red Heart Yarns! 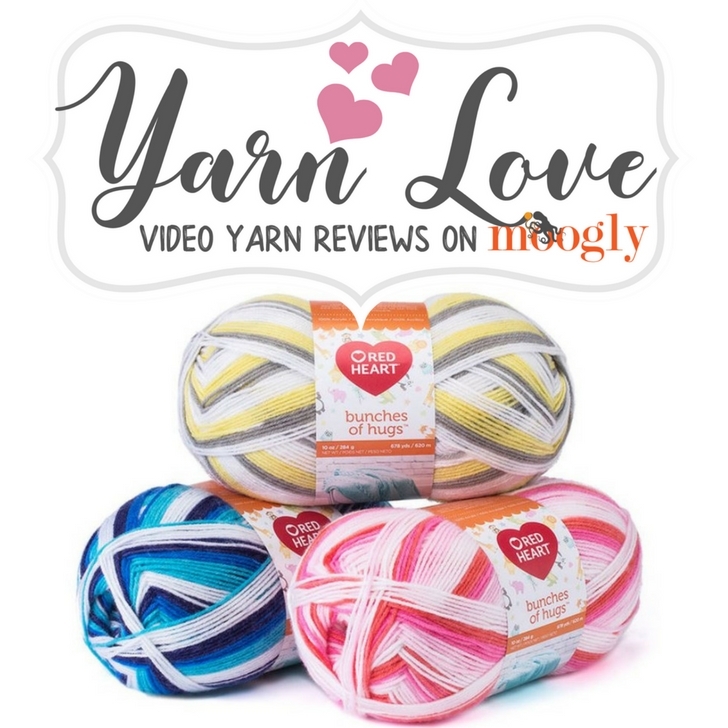 This month I’m taking a closer look at Red Heart Bunches of Hugs in the Yarn Love yarn review on Moogly! Hook and Needles Seen In This Video: Furls Streamline Crochet Hook, 6.0mm; Susan Bates Knitting Needles, 5.0mm. 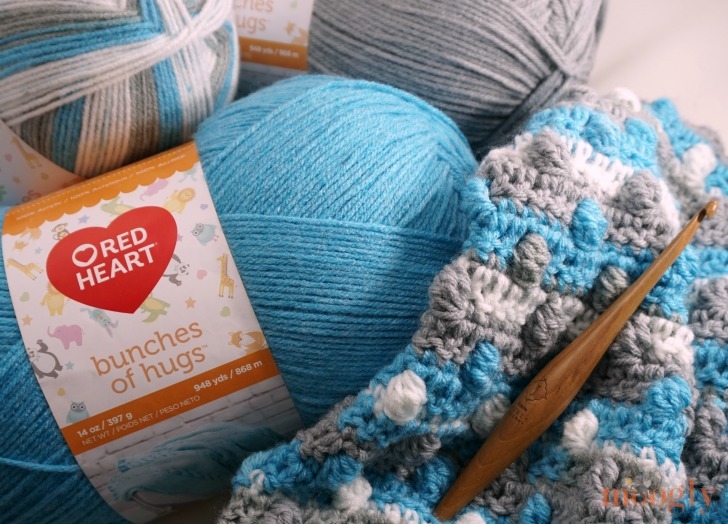 I’ve really enjoyed crocheting with Red Heart Bunches of Hugs – it’s soft, totally safe for babies (and kids and adults! ), super easy to care for, comes in 18 coordinating colorways, and each ball is a LOT OF YARN! New Free Moogly Pattern Coming Friday 4/6/18! What would you like to make with Red Heart Bunches of Hugs? 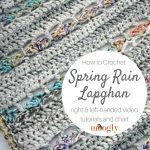 It’s wonderful for baby projects big and small, but I think it’s got some possibilities for adults too – especially if weaving in ends isn’t your jam! 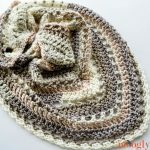 My own pattern with Bunches of Hugs is now up – Click HERE to go to the Bunches of Bobbles Blanket, seen above! 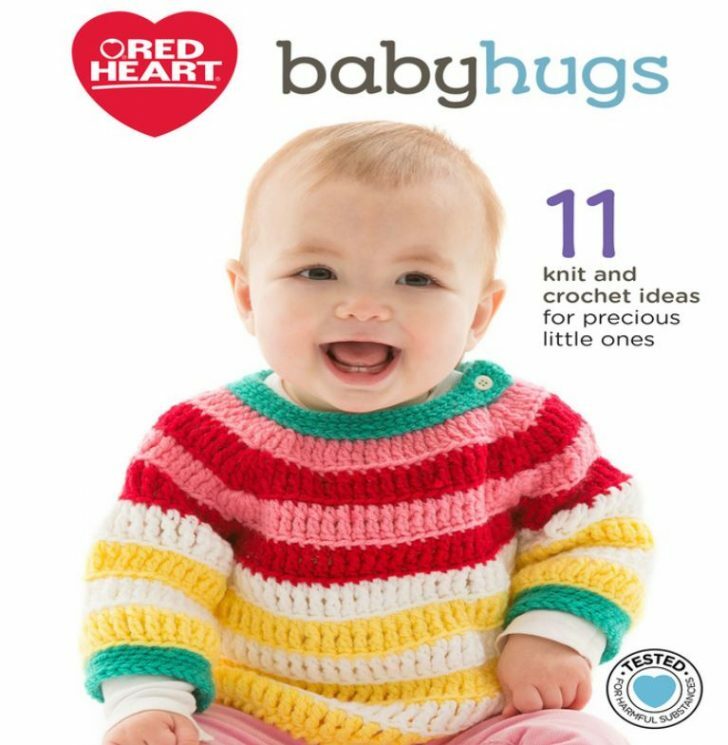 Here are some free patterns on RedHeart.com that are perfect for this yarn, including the ones for the smaller version, Baby Hugs! 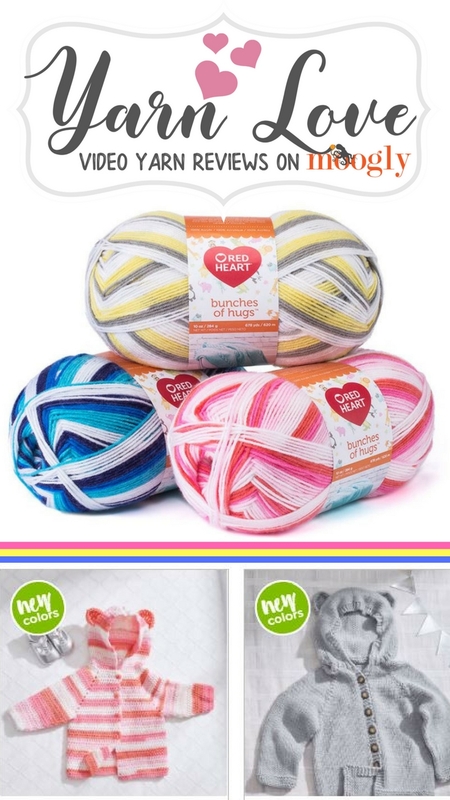 I hope you’ll give Red Heart Bunches of Hugs yarn a try today! And don’t forget to enter to win 5 balls of your own – the giveaway ends April 30, 2018! And last but not least, here’s a pin to start save and share this review with those you want to hug! 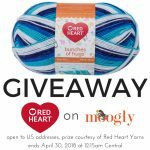 Red Heart Bunches of Hugs Giveaway! How long are the stretches of each color? I’ve gotten so into the really long gradient fade yarns that have come out recently that I’m not so sure what to do with the short ones anymore! Would love to try this beautiful yarn. Thanks for entering me in the giveaway. I love these colors and would be excited to win!